- Dual-clearing mask sheet. Made of natural non-woven fabric and seaweed gel. Safe to the skin by removing the stimulus element and discomfort of hydro gel type. - For skin lacking elasticity due to stress and tiredness. - For skin lacking moisture and nutrient. 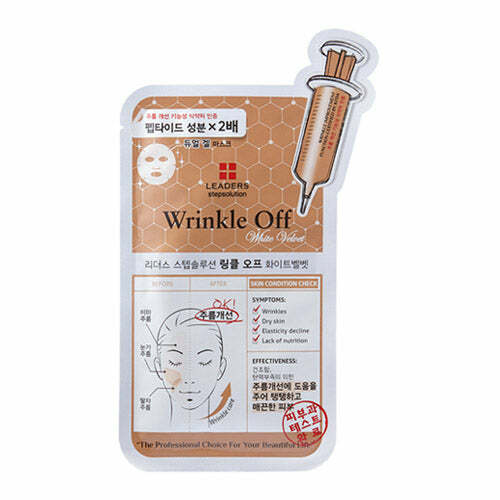 - Prevents and ease the wrinkles of the skin to create a firm skin. 1. Wipe off skin with toner after washing, attach a mask to the face. 2. Peel off after about 15 to 20 minutes, pat remaining essence on the face to absorb.